St. Anselm Church welcomes all children in second grade or older and in need of receiving first communion to register into our sacrament preparation program. The child must be baptized, or scheduled to be baptized before they can receive the sacraments of Reconciliation and First Communion in the Spring. There are two workshop the children are required to attend. These workshops are hosted by our DRE in our parish hall giving them an overview of the sacraments before they receive them. Classes are held in conjunction with our Religious Education classes. Classes are held on Sunday mornings from 8:45AM- 9:45am at St. Anselm School (40 Belle Ave). The program is made up of two phases, the curriculum-based phase which takes place in the classroom and the liturgical phase which includes attending the 10:00AM family mass. The children walk over from the School, with their teacher, to the Church where they meet their parents/ guardians for mass. Mass attendance is a requirement of the sacrament preparation class. The first 3 pews are reserved for the children and their parents/ guardians. Every so often the program will join our Religious Education program for a group activity. These meetings will be to the discretion of the DRE. Go Seek Find: Discover God’s Treasures is a new sacrament prep program centered on a new approach. Instead of using a traditional textbook or workbook, children interact with and explore The Catholic Children’s Bible, seeing how Scripture relates to the themes they are learning about—in a way they can understand. Children track their journey through Scripture to their destination of celebrating the Sacraments using colorful treasure maps and stickers. Fun, hands-on activities get them up out of their seats, moving and engaged in what they’re learning. ANNOUNCEMENT: 3/3 class will be in the Parish Hall. Registration for 2018-2019 is CLOSED. Check back in May for registering for 2019-2020. Please print and fill out the forms bellow and return it to our parish office, either in person or by mail. 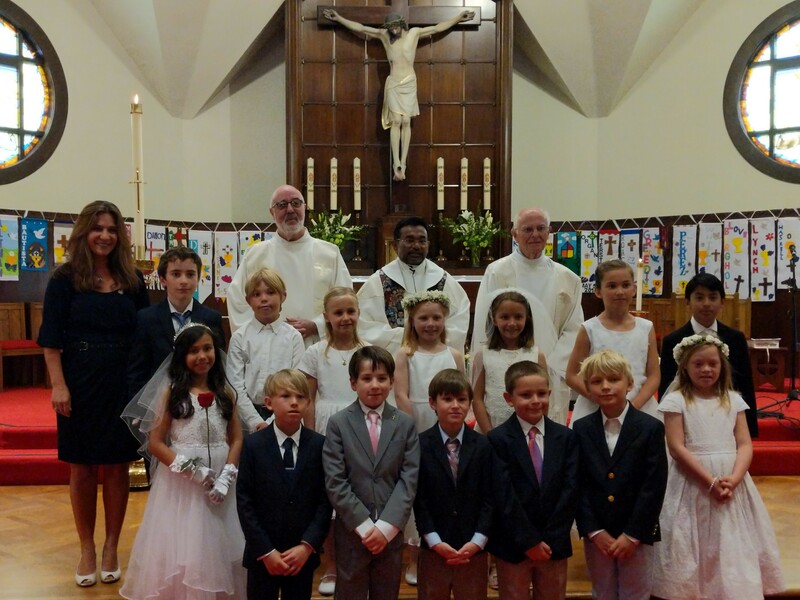 Registration fee: $200 for one child and $275 for two children in the First Communion program. Plus a $30/child activity fee. *Need financial assistance, please contact our DRE. Parent Orientation: Was held in our parish hall on Thursday, September 6th from 5pm- 5:30pm.